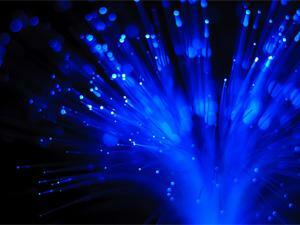 Dimension Data has agreed to sell its fibre and wireless business to Vulatel. Dimension Data is selling its fibre and wireless business, Dimension Data Advanced Infrastructure, which was formerly called Plessey. The group confirmed to ITWeb that it has signed an agreement that will see Vulatel acquire the people and assets of the business for an undisclosed sum. "The transaction is subject to various conditions which both Dimension Data and Vulatel need to fulfil. Vulatel is a majority black women owned start-up and its four founders/execs have years of experience in the telco space. It's a great opportunity for our 150 employees," Dimension Data said in an e-mailed response to questions. It says the transaction should be completed by 1 October. Vulatel is a level one BB-BEE-certified company focusing on telecommunications and energy. Dimension Data acquired Plessey in 1998 for R1.6 billion and it later rebranded to Dimension Data Advanced Infrastructure. In October 2010, Japan-based Nippon Telegraph and Telephone Corporation (NTT) acquired 100% of Dimension Data for £2.1 billion, or R24 billion, making Dimension Data a wholly-owned subsidiary of the NTT Group. Following the acquisition, Dimension Data delisted from the London and Johannesburg stock exchanges. This week, news surfaced that Dimension Data ex-chairman Andile Ngcaba is taking the company to the Commission for Conciliation, Mediation and Arbitration over alleged "discrimination and unfair remuneration practices".